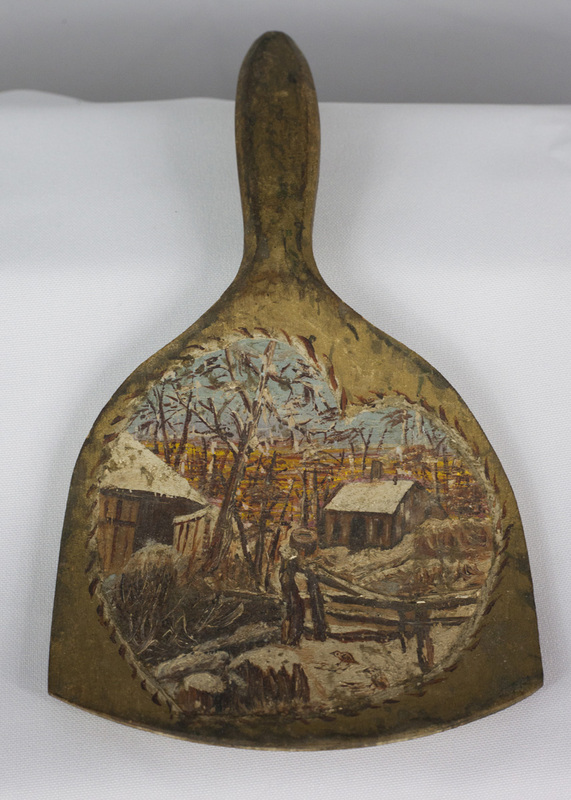 Repurposed objects such as a butter paddle or a wood panel became the canvas of a folk artist. 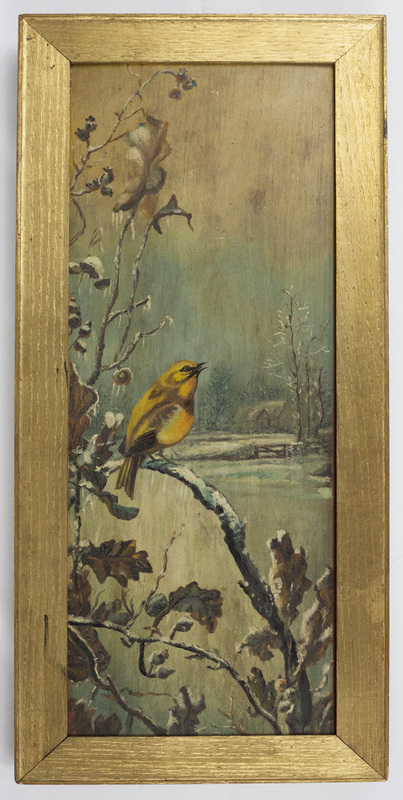 Making her home more inviting and following the Victorian magazine arts of the time, Vona Donald chose bucolic rural winter scenes to enhance and decorate her environment. With paint and inspiration, the rural landscapes brought character to these daily objects.